Certified Health Tests: HD00, ED00, Patella Luxation00, No Entropian & full SAVA eye examination including glaucoma ( Iris to iris PPM in left eye, otherwise all clear) . At shows: multi Best in Show , multi Reserve Best in Show , Reserve Best Puppy in Show , multi Best Junior in Show , multi Best Veteran in Show, Best Veteran in Speciality Show. 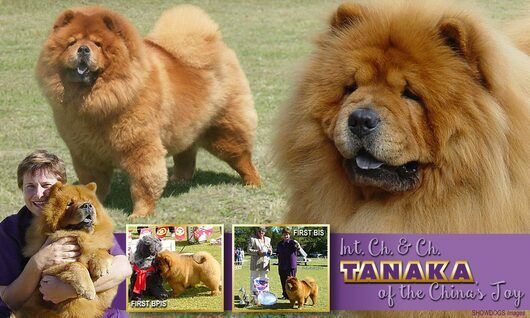 Puppy Premium Winner in 2004 , KUSA National Chow Chow in 2006 & 2009 . CH, Int CH (C.I.B. ), A.R.C.